What is Flipkart SBI Card Offer? What is Flipkart HSBC Card Offer? The market is full of new fashion and your wardrobe still feels old. Those denims that you bought last year aren’t in vogue anymore and your shades have too many scratches on them. The footwear in your closet don’t go well with any of your outfits. This can point to only one thing. You need do go on a shopping spree. Doesn’t all this involve a lot of expenses? Flipkart is back with another bang for all the fashionistas. It has just announced its dates for the Flipkart Fashion Sale. The stylish sale will begin on the 10th of June and will be ending on the 18th of the same month. From latest designer wear to the trendy outfits by your favourite brands, everything will be on sale at the Flipkart Fashion Sale. If the sale is just not enough for you, then there is an additional discount in the process. All the HDFC credit and debit card holders get an additional 10% instant discount on all their transactions. Isn’t this an absolutely WOW deal? Definitely it is. So, what are you waiting for? Get your wish list ready and get started. There is more to this absolutely ravishing Flipkart Fashion Days Sale. There will be hourly deals that will keep you engaged in shopping throughout the day. These deals will have products by best brands at market crash price and box office inspired products. Along with these the sale will also have section that will tell you what goes well with your outfits. This matching centre at Flipkart is nothing less than a personal stylist for you. What more? You could be a lucky winner at this Flipkart Fashion Sale. Just participate in their GUESS THE BRAND game and stand a chance to get lucky. Answer the questions and if your lady luck is by your side, your Flipkart wallet may get credited with a prize amount. Well, your good luck does not end here. There is more to this fascinating sale. Make a unique and lowest bid and you get a chance to win a Skagen watch. Type in your bid (upto two decimal places) for the product between 12 A.M to 11:59 P.M. For your bid to be winning it should be lowest as well as unique. While you are allowed to change your bid anytime, only your lowest bid will be taken into consideration. If you are the winner, then you get the product at the price of your bid. No, things don’t end here. This Flipkart Fashion Days Sale has more to serve you. Love a brand? Vote for it and you will unlock some unexpected amazing deals on products by that particular brand. Participate in the voting and the brands with highest number of votes will have great deals for you. The voting has already begun. So, cast your vote and make your favourite brand deals go live. The Flipkart Fashion Sale will also witness the launch of few new brands and products. While the famous Alcott gets added to Women’s clothing section, Aldo will launch its new range of footwear for men. Chemistry will be added to the category on Men’s accessories. The Flipkart Fashion Sale has a number of famous brands with some heavy discount offers. Brands like Adidas, Victorinox, Aurelia, U.S.Polo Assn. and Flying Machine will witness a minimum of 50% off on their products. While Police will be offering a flat 50% off on its products, Provogue will be selling its most desired products under Rs.999. Lee is offering its products at minimum 60% discount and products by Diana Kors will be available at minimum 65% off. Apart from these, you will find an exclusive range of tops for women under Rs.499. The under Rs.699 section has a bewitching collection of footwear that you just cannot resist. Planning to buy a new pair of jeans? Flipkart Fashion Sale has you covered. Get a minimum of 60% off on jeans and style yourself every day. Excited? Well, we are, and surely you too must be. Are you still holding onto those old pairs of denim? If you nodded to this question then it’s time to let go of them. Change your wardrobe without giving a second thought about the expenses using major Flipkart Sales 2019 on Fashion. Flipkart, the ultimate online shopping platform needs no introduction. Everyone knows what this biggest shopping destination is capable of. And, special thanks to different Flipkart Fashion India Sales, customers get whatever they want with ease. Different Flipkart Fashion Sale offers and discounts save a lot on shopping bills. Thereby, letting shopaholics shop freely whatever they desire. Shopping for men is a little difficult than women’s shopping. The reason being less variety available for men apparels. When you visit a retailer, you get limited choices in colours, patterns, styles, and fits. But when you shop online on Flipkart, you come across plenty of stores on the same page. Even if you are a brand specific, you get an option to filter the search and choose from the brands you loved the most. 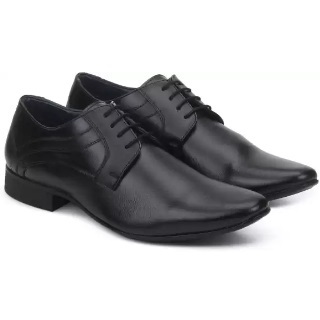 Besides offering variety, Flipkart gives exciting discounts on Men Fashion, especially during the Flipkart Fashion Sale. Shopping of apparels without accessories is incomplete. Definitely, one doesn’t want to wear sports shoes with formals or carry a briefcase instead of a backpack for a trip. As per your clothing requirements, you need to buy the right accessories which suit you the best. Flipkart lets you shop free mind by providing you with numerous choices on products. From a water-resistant wristwatch to a laptop bag, whatever you wish for is presented right in front of you to take a pick. 50-80% Off on Men’s T-shirts, Shirts and Denim from popular brands such as Wrangler, Flying Machine, Arrow, and more. 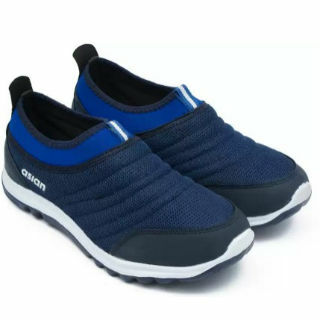 40-70% Off on casual and sports shoes of renowned brands including Puma, Woodland, and UCB (United Colors of Benetton). 20-80% Off on accessories such as sunglasses, watches, bags, etc from brands like Titan and Fastrack. There is no end to changes in women’s fashion. Today you will see women wearing low waist jeans and a front slit long top and the next day, they would be carrying high waist jeans with a crop top. Most of the women like to be a fashion statement for others. For this, they try whatever is new and trendy in the market. And because of the same reason, their wardrobe changes after a few weeks. Now, to keep up with the fashion trends, one buys apparels as soon as they arrive but sometimes she holds herself back, thinking about the expenses. Flipkart brings a solution, letting everyone buys whatever they want at discounted prices. Additionally, this e-commerce platform gives out Flipkart Mega offers on fashion and Flipkart Fashion Sales. One’s shopping for apparels is incomplete without matching jewellery and accessories. For an occasion, women need to buy heavy gold jewellery that goes well with ethnic dresses while for offices, they prefer wearing light in weight stylish jewellery that matches with their shirt and pants. Therefore, one has to buy matching accessories as per the occasion. However, such additional shopping on clothing always increases the bill amount. To save on your shopping, taking advantage of Flipkart fashion sales on dresses, footwear, and accessories is a smart choice. 40-80% Off on Women footwear including sandals and shoes from leading brands like Adidas and Lavie. 40-70% Off on Women Clothing like Kurtas and Sarees from popular brands such as Libas, Ziyaa, and AKS. 40-80% Off on Handbags, Jewellery and other accessories. 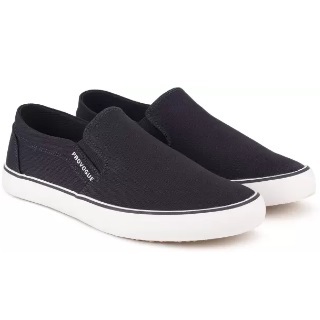 One can easily shop at reasonable prices for brands like Caprese and American Tourister. Kids clothes are hard to pick. The reason is kids apparels are so adorable that you can never settle on one. From ethnic wear to western dresses, there are plenty of choices available on kids clothing these days. Flipkart is the one-stop destination to satisfy all your clothing needs. Besides you can look for Flipkart sale today offer on dresses for kids. Minimum 50% Off on Girls Fashion - Explore the cute dresses from brands like Gini & Jony and Miss and Chief. Boy’s Fashion on Flipkart starts from Rs. 199 only - Grab clothes from famous brands such as Gini & Jony and UCB (United Colors of Benetton). Infant clothing and footwear are at under Rs. 699 - Miniklub, Palm Tree, UCB (United Colors of Benetton) clothes are available at discounted prices. Though Flipkart never rolls out exclusive sales on accessories, most of the popular sales like Flipkart Fashion Clearance Sale and Flipkart Fashion Sale offers discounts on Accessories. During this period, one could grab the accessories they wish to possess. From jewellery to watches, from sunglasses to bags, what is there that is not available on Flipkart during the sale time? From women to men, everyone can find accessories at reasonable prices. So, if you have plans to go on a road trip, be ready for it by purchasing a suitable hiking bag online on Flipkart during the sale time. Or if have want to save your precious eyes from harmful UV rays, make sure to buy a cool pair of sunglasses at Flipkart Summer Sale before the heat strikes. All those who have SBI (State Bank of India) card can avail an additional 10% discount on products across categories on Flipkart. In order to avail the Flipkart SBI Card offer, users have to make a minimum transaction of Rs. 1,999. The maximum discount amount per card is capped at Rs, 1,500. Only selected products on Flipkart are valid for the discount. Therefore, users are requested to check the product page before making the purchase. The offer stands void on Corporate and Commercial cards. In the case of cancellation, the offer stands void. Hence, the transaction will not qualify for the Flipkart offer. The total amount will be calculated at the transaction page. The offer stands void for Card-on-Delivery transactions. Participation in Flipkart Sale offer is completely voluntary for bankcard holders. Under no circumstances, the cashback or discount mentioned under the offer can be settled in cash. On making a transaction via HSBC bank during Flipkart Sale, users will get an instant discount of 10%. The offer is applicable to both HSBC credit and debit cards. No promo code is required to avail the offer. Participation in Flipkart HSBC offer is completely voluntary. In order to avail the offer, cardholders have to use the valid HSBC card, either credit card or debit card. The minimum transaction value to avail the offer is set to Rs. 7,999. The offer stands void on payments done via EMI on HSBC credit card. Also, the offer is not applicable on payment made using PhonePe payment method from HSBC credit cards. Under no circumstance, HSBC will be held responsible for non-availability of the products on Flipkart. In case of partial payment via Flipkart Gift Card, the offer will be applied only on the net amount to be paid through the card. HSBC reserves the right to alter the terms and conditions or end and discontinue offer at any time without prior notice or reason at sole discretion. First three days of every month Get an Instant 10% discount on Axis Bank Debit and Credit Cards. Also, avail up to 80% off on Electronics. Mid-May The lowest price of products across categories. Amazing Bank and e-wallet discounts. Perks like no code EMI. Mid-August Celebrate freedom with amazing discounts and offers on Flipkart. Along with find numerous bank discounts that save extra on shopping bill. September-October One of the most awaited Flipkart Sale of the year. Grab exciting deals and offers and additionally avail cashbacks with exclusive bank offers. October last Dhanteras is the day when most Indians buy goods from their home. This Dhanteras save more with Flipkart. Save more on gold and electronics Keep your shopping list ready. November Diwali without shopping is like eating rice with curry. Flipkart offers unbelievable discounts and deals on plenty of products across categories. Also, buy gifts for your family and friends at reasonable prices. November-December Flipkart lets you enjoy shopping without paying any amount at the same instance. Avail 50% off on most of the Flipkart products and also claim an extra 10% back on bank discounts. Preplan your shopping and pay later at your convenience. December One of the most beloved Flipkart Sales offers lucrative offers on fashion, electronics, appliances, sports, stationery, and more. Get hold of up to 50% off on different products and also claim additional bank discounts. December last Also known as End of Season Sale, it is an amazing Flipkart fashion sale on sarees, suits, lehengas, western dresses and more. Also, users can grab super duper discounts on footwear and accessories. 24th-25th December Celebrating every festival with the same excitement is what Flipkart believes in. Find the best deal on a plethora of products during the Christmas time. December Everyone waits for sales on gadgets. From DSLR to Bluetooth Speakers, grab your desired gadget at discount prices and save a lot on your shopping. First week of January, 2020 Saving the best during the first days of the new year is a whole different feeling. Flipkart welcomes a new year with plenty of exciting deals and discounts on Fashion, Electronics, Appliances, and more. Also, Flipkart offers bank discounts in-collaboration with renowned banks.